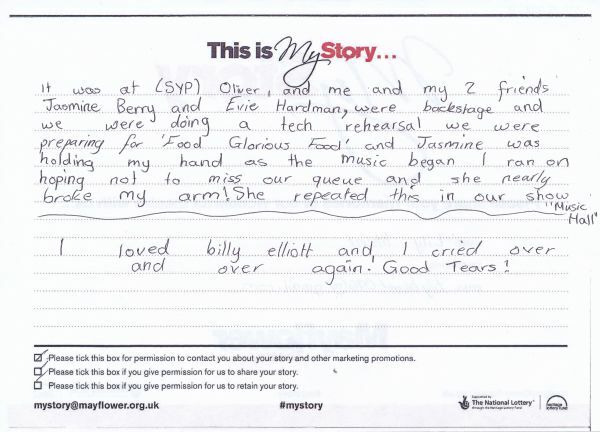 It was at (SYP) Oliver, and me and my 2 friends Jasmine Berry and Evie Hardman, were backstage and we were doing a tech rehearsal we were preparing for 'Food Glorious Food' and Jasmine was holding my hand as the music began I ran on hoping not to miss our [cue] and she nearly broke my arm! She repeated this in our show "Music Hall" I loved billy elliott and I cried over and over again! Good tears!